Helllo Monday! We are back from Japan, adjusted and ready to hit the ground running this week! February and March consisted of a lot of travel for me, so I’m ready to kick back for a little bit and enjoy the warmer temps in Seattle. Later this week I’ll be sharing a full post on my trip from Japan – what I where, things we did and where we ate! In case you missed it, before I left I shared my in-flight routine – it’s an easy process that keeps your skin hydrated and you feeling comfortable on long leg flights! Today I’m sharing one of the dresses I packed for Japan and it is one THE most highly demanded dresses for spring! Coming in at $35, this Who What Wear Smock Dress – this button down tiered mini dress is the dress of the spring season and styles well with everything. 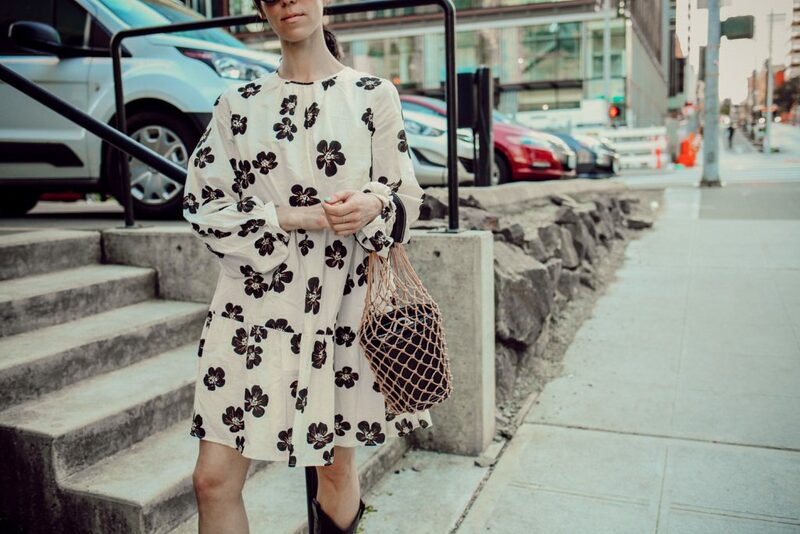 A few weeks ago, I shared this Who What Wear smock dress during one of my try-ons – you guys know that I’m a HUGE Who What Wear collection fan! I love their entire collection from Target – they have found a way to create affordable on-trend fashion that accessible to all. Later today on Insta-Stories I’ll be sharing a few ways you can style this dress for the upcoming spring season. I love the flexibility of the dress and how easily it can be styled with boots or sandals. 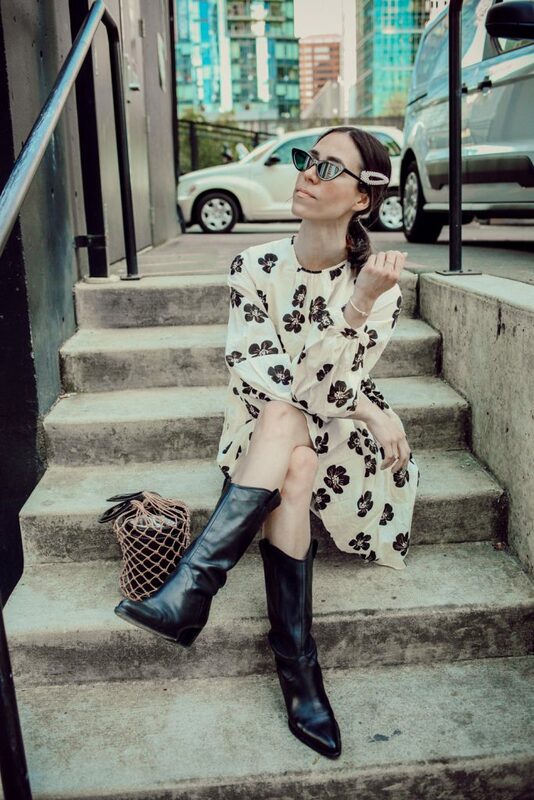 Who What Wear recently published an article about the smock dress trend and featuring several different way people styled this dress! There is nothing better than seeing the versatility of the dress! 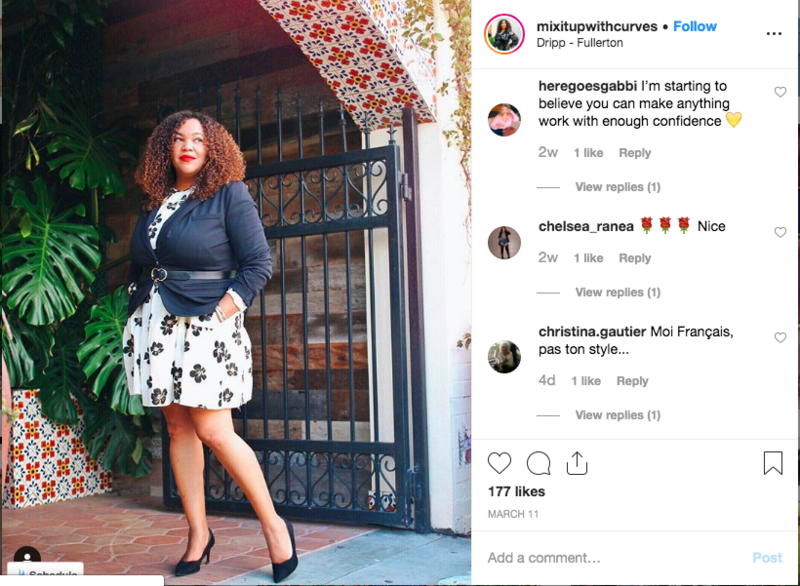 I love how Vivian from Mix It Up With Curves styled the dress for a work with a tailored blazer and classic black pumps – she also cinched the waist with a belt giving the dress a new fresh look! 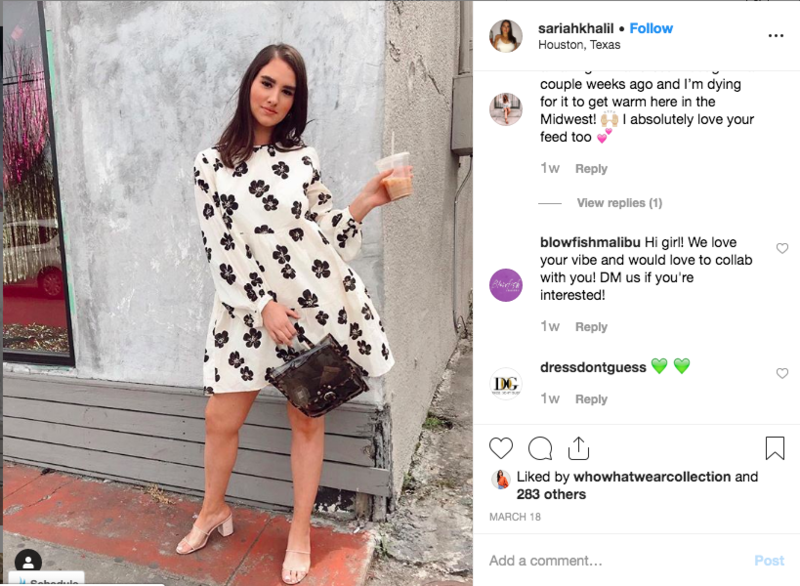 Sariah from Sariah Khalil styled the dress with another hot trend of the season – these vinyl mules! Mules are easily my go-to shoe and this shoe from the Who What Wear collection is the perfect way to elongate your leg. To continue on with the vinyl trend, she styled the look with the perfect vinyl bag. 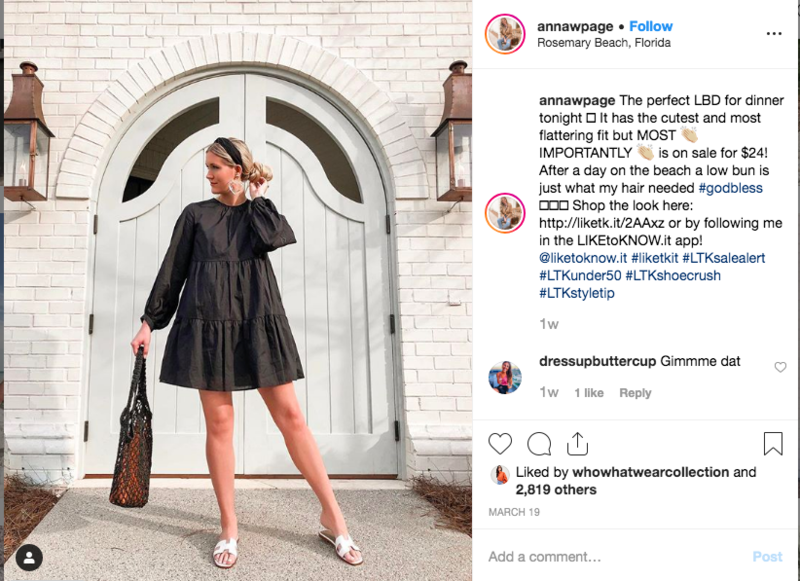 Anna from Anna W Page styled the solid black version of the dress with these white sandals and net bag – the perfect summer pairing. With the weather still toying with my emotions, I opted for an easy look that keeps my legs warm (sih) while we wait around for spring. The Schutz version of the boots keep coming in and out of stock, but Forever 21 has a less expensive version here. Of course I had to accessorize the look with one of my favorite trends this season, these beaded hair clips! Amazon is selling these beauties for $14 for a set of four! Another great Amazon find is this net bag – it’s a take on the Staud bag. I found this bag last summer and it’s such a great transitional bag from season to season and year to year! AND if you watched my Instagram stories, below are the products that I used to style it three ways!